Playing blackjack online is similar to regular play. A virtual black jack table looks identical to the one you may be familiar with from regular casino visits. Here the main difference is that you cannot physically see the dealer. That means instead of giving a verbal command to the dealer, you have to interact by clicking various buttons. This includes making wagers by physically clicking on the chips (you’ll see the stack in different denominations lined up along the table), as well as choosing your next move like ‘Hit’ or ‘Stand’ or ‘Deal’. For your convenience, your account balance is also displayed (usually in one of the corners of the screen), so you can keep track of your money as you play. If you’re not so familiar with the game, you can always get started with a few rounds of free blackjack, before you move on to real money play. Another distinct advantage of online play is the sheer variety of games. You will always have a standard version of blackjack available at any reputable online casino. But beyond that, there will be many exciting permutations of online casino blackjack games – including single-hand, multi-hand, double exposure, single deck, and Spanish blackjack. There are also very specific versions of the game available including Blackjack Surrender, Blackjack Switch, Double Exposure Blackjack, Atlantic City Blackjack, and 21 Duel Blackjack. For more options and details of each game, look under the ‘Blackjack’ or ‘Card Games’ tab in any one of our recommended blackjack casinos above. For more in-depth details on strategy, we recommend you check out our blackjack strategy article. How to play: The goal of the game is simple; get as close to 21 points as possible without going over (what is called “busting”). 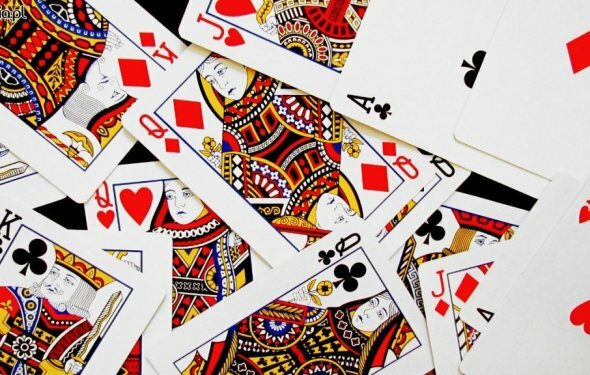 Each card deal consists of two cards to the player (you) face up, and two cards to the dealer, one of which will be face up and one of which will be face down, called the “hole” card. Hit: Click ‘Hit’ to request another card. You can hit as many times as you want. Remember, when counting the total, an Ace can be counted as either a one or eleven. If the total goes over 21 you bust, and lose your entire bet. Stand: If you select to ‘Stand’ this means you do not want any more cards, and want to stay with your current total. Double down: Click ‘Double down’ when you wish to double your bet, based on the cards visible. Some casinos will only let a player double down when points are between 9 and 11, while other casinos will allow a double down wager regardless of the total. Insurance: If the dealer gets an Ace in the initial deal, you may opt for an ‘Insurance’ bet. This allows you to place half of your original bet in a sort of side bet. You get a 2:1 payout on this side bet if the dealer gets blackjack.